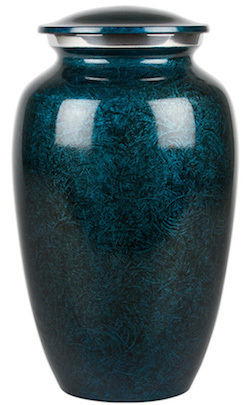 We are now offering, for a limited time, gorgeous cremation urns in a range of sizes and colors. We guarantee that you will be satisfied with one of our premium quality urns to remember your loved one. Don't hesitate to call with any questions or to place an order. 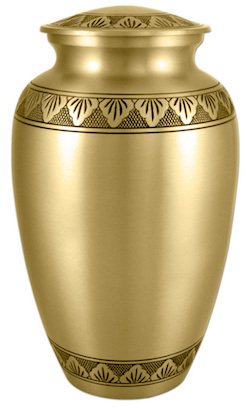 These urns are currently in limited supply, and we apologize if we are out of stock. This page will be updated regularly to reflect supply and inventory. Scroll below to take a look at what we're currently offering. 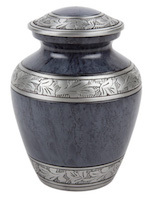 ​This lovely urn is crafted from solid aluminum and has a beautiful hand-painted finish. This urn has a top-opening with a secure threaded lid. Call us at (330) 477-4900 to place an order. ​This precious pet urn is crafted from aluminum, has a beautiful hand-painted finish, and a top-opening with a secure threaded lid.